It might hurt, but look in the mirror if people around you are low energy slugs. 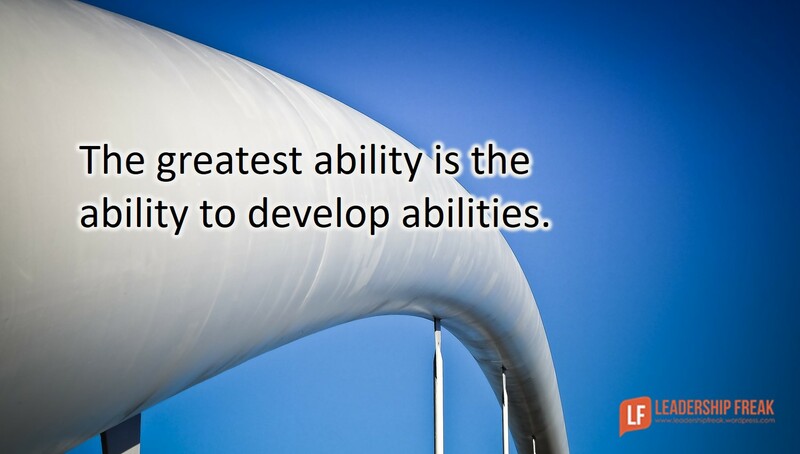 The greatest ability is the ability to develop abilities. Improvement stops when people believe they’ve reached the level of “acceptable” performance. Challenge people to reach for the next level by asking a simple question. I’ve been asking teams this question. It works. Ask, “What might you do to take your performance to the next level?” Identify three or four possible behaviors. Give pep talks before performance. Provide immediate feedback after performance. Appreciate improvement. “You paused and lowered your voice before the main point of your presentation.That really worked.” The Boston Consulting Group reports that the number one factor in employee happiness is appreciation for their work. Tip: You never get to the next level by repeating the past. 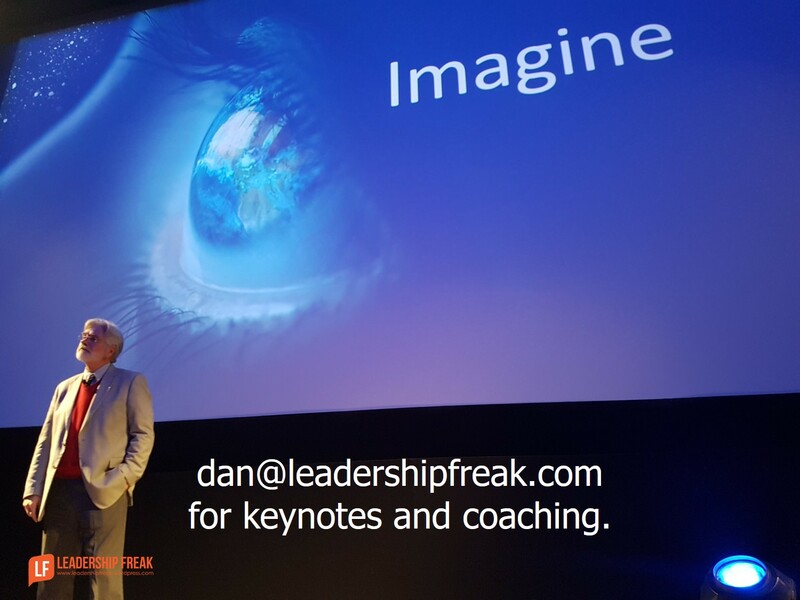 How might leaders bring out the best in others? In teams? As you mentioned “pep talks” are a key component, just the fact we encourage people is part of the picture, they still must execute the process. Rewards for good jobs are nice, only if your sincere. The backfire to this is when you develop individuals expecting rewards for every little thing they do right. Once you create the rewards process prepare to pay out, and keep things equal! The issue with “equal” is not everyone one is or has equal qualifications, that is the building process we need to see and develop, “to promote getting to the next level”. Thanks Tim. I wonder how many leaders reading this post have given a pep talk in the last day or two? I wonder how many people on a team have given a pep talk? May I add to that sir. How many supervisor managers are there that give feedback or pep talks. Leaders need to know how they are doing as well. The big boss should not show up just to complain. Remember you are still a leader, treat those other leaders like you use to treat your employees. Thanks Walt. My reading indicates that almost all employees want more feedback. You nailed it. “What might you do to take your performance to the next level?” I like this question. It encourages the individual to push themselves without making judgment of his or her past. Thanks Patrick. I takes a few weeks of asking, eventually it becomes a mindset. I start hearing teams adopt the question for themselves. I think we have to be careful that it doesn’t become another form of just pushing people for more. It’s really about taking their skills and talents to the next level. Another great post that hits the mark – and even better after reading the DDI study. Thanks for the post and related link. It’s so important to realize that effective “leadership” has so many facets and one style doesn’t fit all. Thanks SGT. Glad you enjoyed the post and the DDI article. It seems that all the facets of leadership mean we’re always learning how to lead better. When your organisation serves customers who are not interested in the “next level”, who want the same thing, the same way, each time, every time, because there is no “next level” in regulatory compliance, where is the “next level”? Thanks Mitch. Great question. My approach to this topic is the next level is more about personal performance. I wasn’t thinking about taking a product for customers to the next level. Thanks Dan. Question: why would anyone feel the need to improve personal performance when you are meeting the exact same challenge? You can’t make, sell or accrue any more product, or increase your price, so what is the rationale for investing time, effort and money to going to the next level? The return for the business is….what? How bring out the best? Easy! Fully meet the five basic needs every employee has: the need to be heard, the need to be respected, and the need to have autonomy, competence, and relatedness. The possible performance gain is about 500% and how well those five needs are met determines how far performance rises. Thanks Ben. I think you’re on to something with the approach of meeting needs. However, development also includes challenge. People who are respected, for example, are more likely to rise up to new challenges. and boom goes my head, light bulb on bright. We can do everything but if the employes are not challenged why try or is it about motivation? Does every employee respond to challenges? Not everyone enjoys challenges. need to think on this a bit more. Thanks guys. Great content as always, Dan! I find it helpful to give pep talks when they’re least expected. Random encouragement to your team has helped me keep the culture in an overall positive mode. Of course, there’s always critics within any organization. Still give those people the praise they deserve, but understand their criticism and focus on building up those that desire to be lead and coached.